It’s the second day of Book Blogger Love-A-Thon! 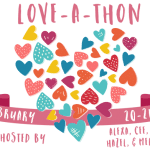 For today’s mini-challenge, we’ll be having Mashup, where bloggers combine their love for books with their non-bookish hobby! 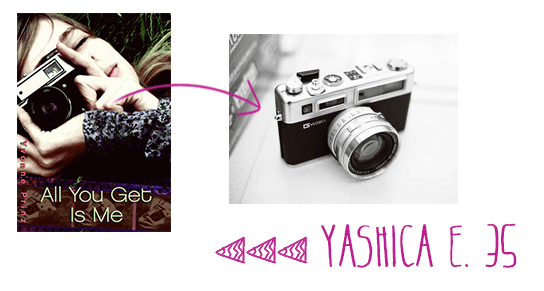 So today I’m going to mashup two of my favourite things: Vintage cameras & YA novels! So, how exactly am I going to incorporate this with YA Novels? Well, I know of some books with vintage cameras on the cover so I’ll be featuring them and naming the possible model of the camera. I’ll tell you some facts about the model too! I haven’t read this book yet but I spotted it on Goodreads and the camera on the cover reminded me of one that I own: a Yashica Electro 35 GSN. This model is a rangefinder, which is sort of like the compact camera or ‘digicam’ of film. Anyone watch The Amazing Spiderman? This is the camera that Andrew Garfield has in the movie! Lol, I just love throwing that fact out there! This one, I’ve read already. Take note: I adored this book! The Rule of Thirds was short, sweet and fun and I loved that dealt with photography among other things! Check out my review here! I’m absolutely fond of this cover because a) it’s pretty b) that TLR is gorgeous! I don’t have a TLR camera but it’s on my must-have list! 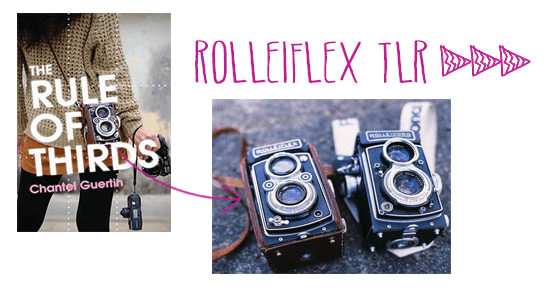 If you’re wondering what a TLR is, it’s a twin-lens reflex camera which means it has two objective lenses, which makes it fundamentally different from the single lens reflex camera or SLR. Depth of Field is the sequel to The Rule of Thirds and guys, I’m real excited to read this one. (Ugh why is August so far away) The cover, yet again, is gorgeous, and I love that it really does use the concept of Depth of Field! 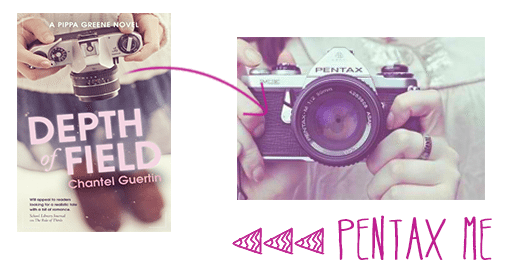 The Camera on the cover could be any film SLR really but I’m gonna take a wild chance and go with the Pentax ME. Now, I’m not exactly familiar with this camera since I don’t have it but like the Rolleiflex, this one’s on my must-have list too! I’m excited about this one the most because I do have this camera! I use my Canon AE-1 regularly, and I super love it. Not that I’m sure the camera on the cover is a Canon AE-1, because like with the book above, it could be any model, but it’s a plausible guess. 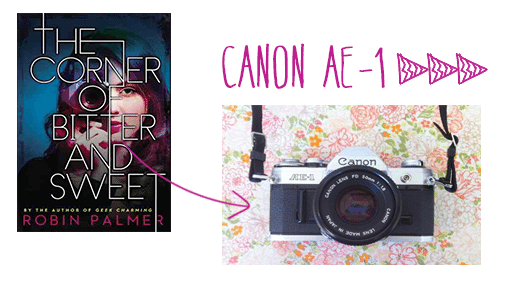 The Canon AE-1 is also a film SLR and it uses a 35mm film (Do you even want me to go deeper into that?) and also has interchangeable lenses. I use a 50mm f1.8 with my own AE-1 and the photos look beautiful! Used with fresh film, it could totally go up against a DSLR. Btw, the Corner of Bitter and Sweet was a good read! I really liked the book! I liked reading Going Vintage but photography was not relevant to the story. I guess the vintage camera fitted the theme that’s why it’s on the cover. Anyway, I have several guesses for the camera on the cover but it looks closest to a Holga 135. 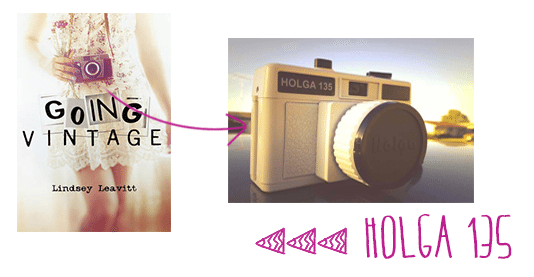 The Holga 135 is not a vintage camera per se, as they still make the model today. It does use film though, which I guess makes it less modern than the cameras everyone uses today. It is considered to be a lomography camera and it creates very cool filters for photos. So, what do you think? 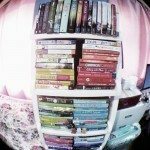 Are you interested in any of the YA novels mentioned? Which vintage camera is the prettiest? Do you like cameras? Do you ever wish you had a collection? Are you a fellow vintage camera lover? Are you a supporter of film photography too? Tell me! Wow. I never ever stopped to consider the cameras used in these popular book covers! I love the one in Going Vintage. This is such a creative mash-up, especially since it showcases something not much appreciated – the evolution of the camera! Now I'm interested in reading the books you mentioned especially The Rule of Thirds and Depth of Field. I love love LOVE how you incorporated your love of one into the other! What a great mash-up! Love the vintage cameras! Awesome! I chose photography but in a totally different way than you. I love this even better than mine! This all reminds me of my best friend. She is a photographer and she posts some great photos with older cameras. I don’t know much about them but I think they are all beautiful themselves! I looove this post! I always go out on a limb to check out books that might have a story involving photography. As something I’m interested in, I like to explore what other people/characters think about it. I’ve been wanting to read The Rule of Thirds forever, but it kind of fell off my radar. I don’t know if my library has it though. Boo! Great post. I really enjoyed reading it. I’ve only heard of a couple of those books! What a fun idea. What a great eye you have! I loved Going Vintage and that camera is spot on. I’m drawn to that TLR camera too. So creative! 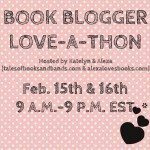 How fun is this post! I love looking at all sorts of cameras I just have no idea how to use them OR how to take good photographs. I find it absolutely amazing that you know so much about them AND that they seem to make the cutest book covers EVER! I love this! The vintage cameras are so awesome! And I love how you were able to mash it up with books. Really cool post! I love this theme!! I absolutely adore vintage cameras and I have a huge collection of my own. I am not however very savvy with the model names and what they can do like you are. I’m also in love with photography. For a very long time I wanted to be a photographer and just input photography in the stories I write. Whether the story is based off of one particular photo, or a collection of photos that go along with my story. Great post! This is such a unique mash up! I love that you collect vintage cameras! My grandpa has a basement full of antiques and I can so easily get lost down there. I love how you combined these! Who knew there were so many cameras on book covers?! Wow I love this mash-up post! My dad collects vintage cameras, but not as much recently. I really loves learning about them and seeing how you incorporated books with them! This is awesome! I love this post, it was really different. All the cameras look gorgeous. I love vintage things too and can definitely see the appeal of these beauties. I would love to collect Vintage cameras, and even more, to know how to use them all! 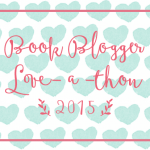 It’s such a neat hobby and I LOVE how you’ve mashed it up with YA books! I’m very impressed! By two things actually: your ability to spot the type of camera, and your awesome little accompanying graphics! I love the scribble look…it’s something that I’m trying to figure out how to do to break up wall of texts on my blog. Go you! I LOVED this! I am just starting to get into photography so I really enjoyed looking at this vintage cameras! It’s awesome that you can spot one of these on the covers! I’m going to look up a few of these cameras, this was super interesting! Awesome mashup! This is such a cool post! I really like photography, but I don’t take many pictures. I love the cover of all those books, though. :) They make the books really interesting. What a cool idea! Makes me want to go out and start collecting vintage cameras myself (even though I probably wouldn’t have the slightest idea how to use them properly, haha)! The camera on the cover of Going Vintage was the whole reason I bought it (not yet read it though) and the Rolleiflex TLR is on my list of purchases too along with a Bronica and a Ebony 10×8″ camera, I’m head over heels in love with medium and large format cameras!